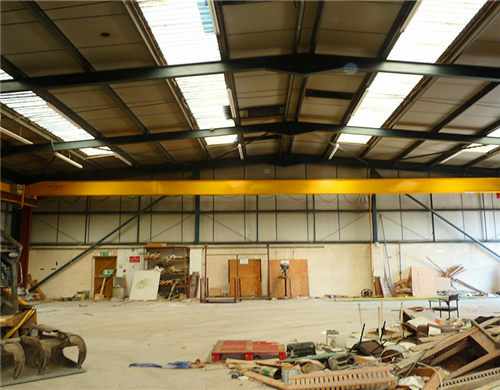 2 ton overhead crane is a kind of small size overhead crane that is widely used in the shop and warehouse. Because two ton overhead crane has a relatively lower price so that the crane in 2 ton often is equipped with the single girder. The 2 ton overhead cranes our company supplies have good quality and reasonable price and we are sure that you can choose an ideal machine in our factory. Our company is a professional equipment machinery manufacturer in the world market. Our company has developed nearly a half century so that we are experienced and we can give you proper machine according to your requirements. 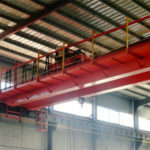 2 ton single girder overhead cranes consist of the motor system, speed changing system, wheelsets system, wired handle and remote controller, etc. generally speaking, the most important part is the motor so that we test our motor again and again so that customers can get the motor in the best quality and cost performance. Following are some detailed information about our motor. The main motor is ZDY1 type and YSE type and the ZDY1 type motor is a kind of conical motor, the YSE type motor is a soft starting motor. The starting and stopping of the crane with YSE motor can greatly reduce the impact of the inertia on the crane so that it is widely used in the market. 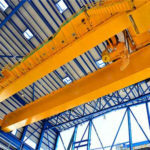 The overhead cranes with two tons have a good quality motor which can afford the weight far more than two tons. As a result, it is safe when lifting goods. You also can choose a suitable motor according to the needs of your business. The price of our crane is competitive and reasonable. I believe that you can get a good quality product at a lower price. As the old saying goes, you get what you pay for. According to your requirements, we can give you a customization so that our crane can meet your needs well. No matter what kinds of overhead crane you need, please send an email to us and we will give you a reply as soon as possible. 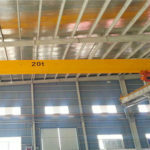 2 ton overhead crane prices in our company are reasonable. On the one hand, we have professional engineers and skilled workers so that we can give you a professional training and test to your needs. On the other hand, we have the subsidiary factory that can service our company stably. Our company has the supports of governments so that we have some preferential policy and we lower cost on the raw materials and other expense. 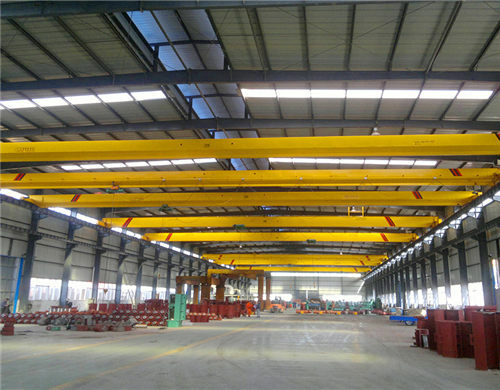 Other than the customized overhead crane, 2 ton overhead cranes are mainly divided into five types in our company: LD type 2 ton overhead crane, LDY type 2 ton overhead crane, LX electric 2 ton overhead crane, DP electric single beam 3 ton crane. LD type 2 ton overhead crane: the LD type cranes are popular in the market because of its compact structure and low procurement coat. LDY type 2 ton overhead crane: This kind of 2 ton cranes are mainly used for lifting molten metal in the metallurgical and casting places. They are equipped with the YH type metallurgical electric hoist. LX electric 2 ton overhead crane: It is a kind of single girder suspension crane equipped with an electric hoist. LDP electric single beam 3 ton crane: It is a kind of super low clearance cranes and the hoist is hanging on the side of the beam. 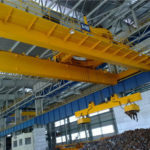 European standard single girder overhead crane: As the name means, this kinds of machine adopt the technology in European standard and it can reach the international standard. These 2 ton overhead crane cost has a little difference because of the different cost on the raw material and components. Please send an email to us if you want to know the detailed quotation of the machine you are interested in. Generally speaking, the length of the span can reach 40 meters and it can be changed according to the special requirements. In the meanwhile, the machine can work normally in the temperature of from -20 degree to 40 degree. The hoist is one of the most important components in the overhead crane so that I want to tell you some detailed information about our hoist. There are rope hoist and chain hoist supplied by our company and you can choose a hoist according to your needs. The most commonly used hoist is an electrically powered chain or wire rope type. 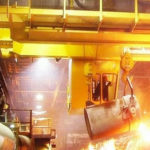 The most common form is the elevator and our overhead cranes choose the familiar hoist in our machine. There are different types in hanging the hoist. 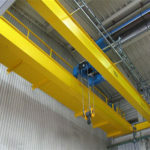 The hoist in LD type overhead crane is hanging under the girder so the hoist can move without the obstacle of the girder. The hoist in LDY series overhead crane can stand the high temperature and it has a simple structure. This kind of hoist can be used for lifting metallurgy and casting sites of molten metal. 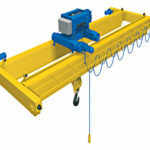 The hoist in the LX type crane is necessary because the crane can’t work without a hoist. The hoist in LDP cranes is located in the side of the girder so that the lifting height is higher than the other cranes. Warehouse: warehouse overhead crane is popular in the machine and you can choose a suitable machine in the size and working environment. Our two ton cranes are mainly used to lift the objects about two tons. We also have 3 ton overhead crane, 5 ton overhead crane, 10 ton overhead crane, 20 ton overhead crane, even 100 ton overhead crane and so on. 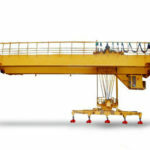 Shop: Our cranes can be used in the shops so that the goods can be carried easily. The two ton cranes in our company are suitable for the shop and it will save space and make more profit to your business. Last but not least, we can serve the customized service to customers because we have experts to supply the design to customers. All in all, please free easy to keep in touch with us and we can give you a proper solution in according to your special needs. Weihua company is a reliable crane supplier and has more than 1000 employees and worker in the office and the factory. All of our staffs are devoted to the establishment of our brand and our company has gained good reputations in the world. For example, our machine had delivered into many countries in the world such as Russia, Spain, Saudi Arabia, New Zealand and so on. Customers think highly of our machine and service and what you are waiting for？If you need the 2 ton overhead crane, please send an email or leave a message to us, we will give you a reply soon.